Mud season can be tough to handle in the high country. The skis are put away but it’s not yet time to get out the bikes, hiking boots, and climbing gear. Between lingering ice, closed trailheads, and deserted restaurants and bars, it’s easy for cabin fever to set in. The solution is a quick trip down I-70 to Golden, Colorado. 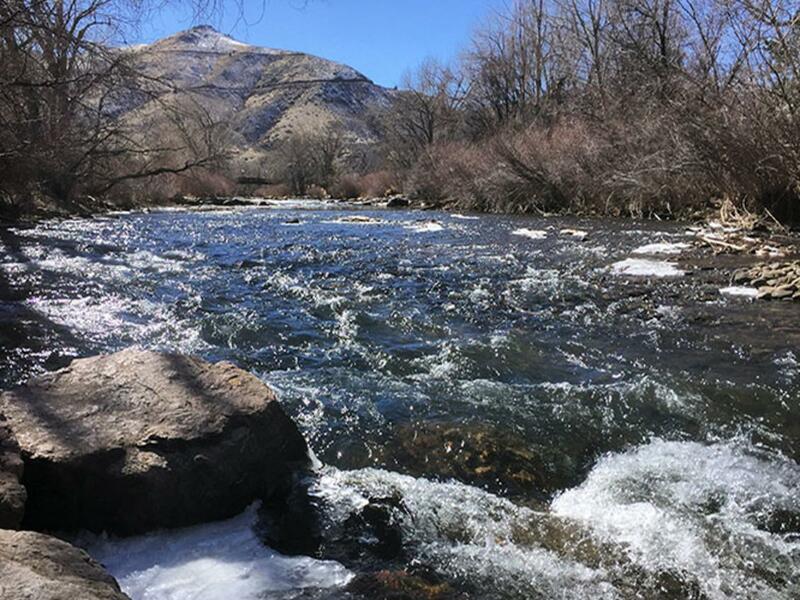 Located where the mountains meet the plains, Golden is the perfect place to get a jump start on summer mountain recreation, even in early spring. The two high western buttes east of town (North and South Table Mountain) receive lots of sun and offer snow-free trails most of the year. 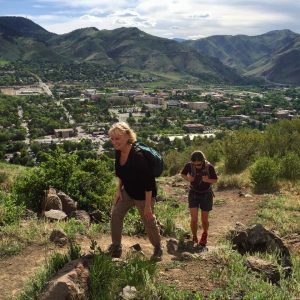 Whether mountain biking, hiking, rock climbing or even kayaking, Golden is the place to be in “mud season.” And after a day outdoors, there are five craft breweries and dozens of restaurants and shops in Golden’s fun and historic downtown. You can even make a weekend of it and take advantage of affordable spring rates at one of Golden’s downtown hotels. Featured twice in the U.S. Pro Challenge, this is one of the most famous hill climbs on the Front Range. The paved road snakes, twists and turns, climbing 1,300-feet in 4.3 miles, from downtown Golden to the 7,379-foot summit of Lookout Mountain. 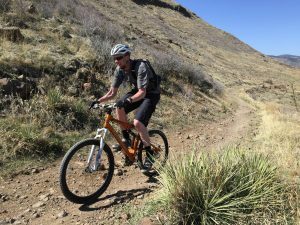 While it is a challenging climb with 5-6 percent grades, bikers are rewarded with incredible views of Golden, the foothills and the far off snowcapped peaks. 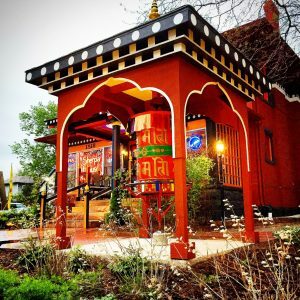 Fuel Stop: The Sherpa House & Cultural Center in historic downtown Golden is unique, providing a wonderful blend of authentic Himalayan cuisine and culture. Try the Sherpa Stew, a mixture of vegetables, dumplings and spices combined with your choice of beef, lamb or yak meat. They also have lighter dishes and salads, and a killer outdoor patio. Fuel Stop: You can actually access a trail up North Table Mountain from the parking lot of New Terrain Brewery. This gorgeous new brewery is crafting exploratory beers; some follow brewing traditions….and some don’t. But all beers are made with precision and passion. Changing food trucks, an outdoor patio and sweeping views of Clear Creek Valley are the perfect end to a day on the trail. There are nine miles of generally snow-free trails in this sprawling Jefferson County park located just south of Golden on State Highway 93. The park butts up to Red Rocks Amphitheatre, which also offers a series of connecting trails. A particularly beautiful stretch is the 2.8 mile Red Rocks Trail, which climbs up some mild switchbacks, offering spectacular views of towering red rock formations as you approach Red Rocks Amphitheatre. Fuel Stop: Cannonball Creek Brewing is just down the road about 15 minutes from Matthews/Winters and a perfect Golden afternoon beer stop. In its first year, this young brewery took two prestigious silver medals at the Great American Beer Festival. In 2016, they won two gold medals! They usually have between 6-12 craft beers on tap and changing food trucks. There’s no reason to have “cabin fever” in mud season when there’s Earth Treks Golden. This is the premier indoor rock climbing and bouldering gym in Colorado. Opened in 2013, this 28,500 sq. ft. facility has 45-foot high walls with 300 roped routes and some 100 bouldering problems to twist, stretch, and pull yourself over. 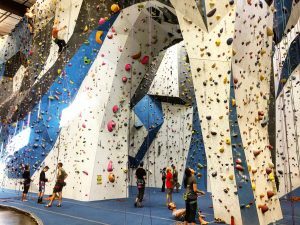 The walls were designed by rock climbing legend Jason Kehl, the eclectic climber who was the first person to ever boulder a 5.14d grade route. Fuel Stop: The Trailhead Taphouse in downtown Golden offers mouth-watering, homemade cooking including Cajun, gourmet pizzas, fresh and healthy salads, ‘po boy sandwiches, and trail end desserts. And of course, this being Golden, there is a huge selection of craft beers on tap. A trip to Golden is a sure fix for the “mud season blues.” Come for the day, come for a weekend. Golden is a great place to stay, play and dine in the spring.